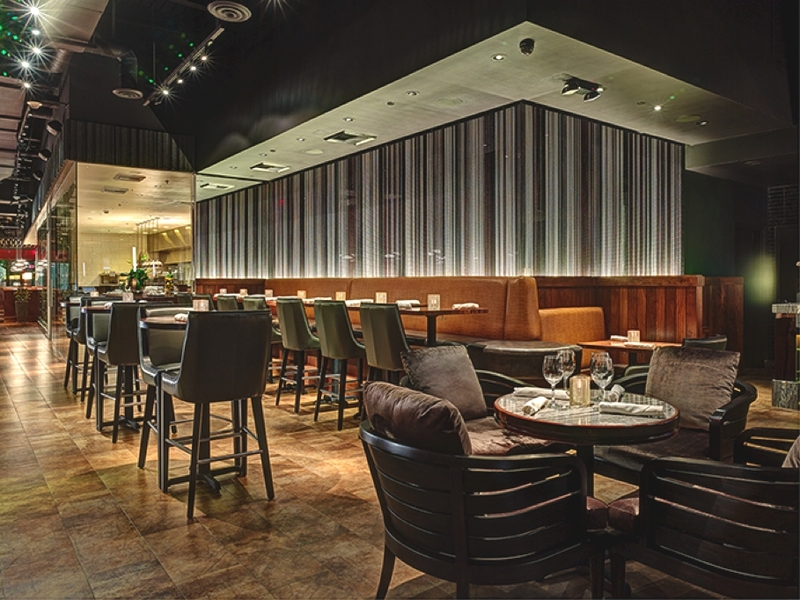 Los Angeles-based architectural practice, SFJones Architects, has designed the Redwood Grille project. The chic restaurant is located on Santa Monica Place, Santa Monica, California, US. 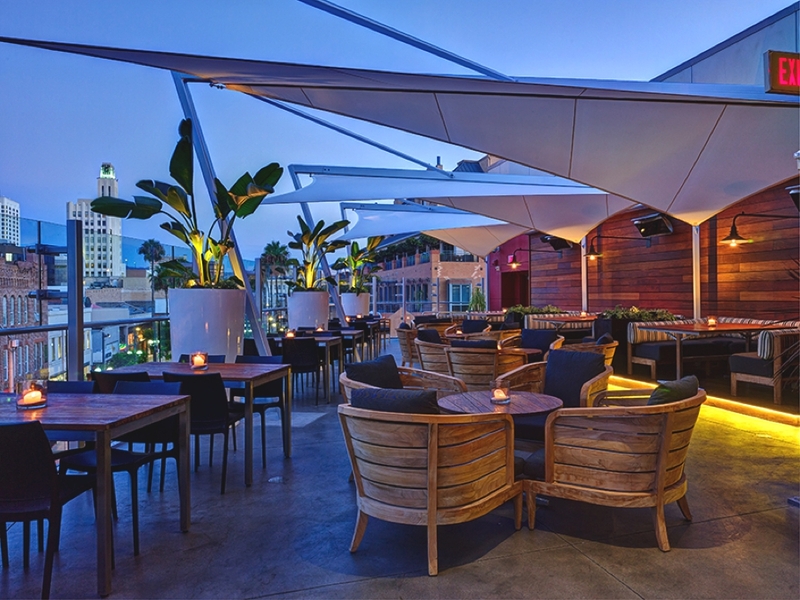 A 6,160 sf interior and 2,650 sf patio that seats 250 restaurant located on a third-floor space open air mall perched over Third Street Promenade in Santa Monica. 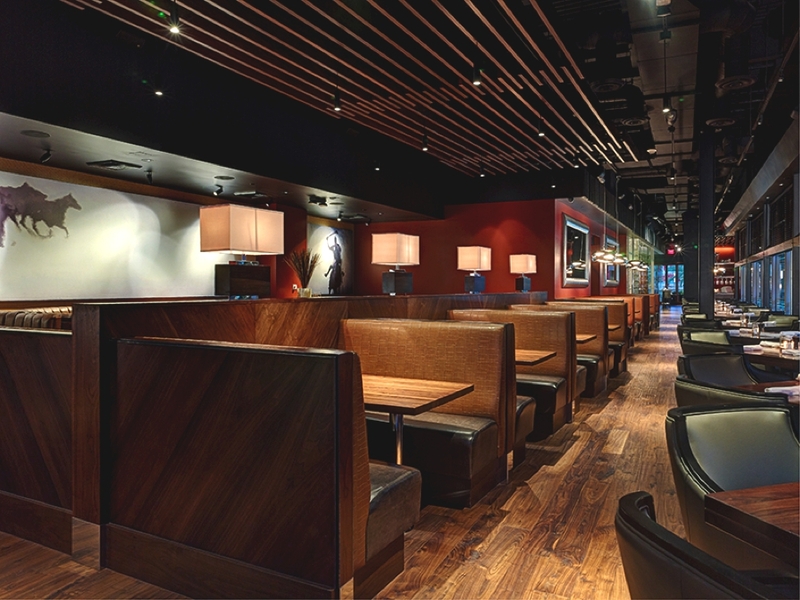 SFJones solved the challenge of street-level visibility for Redwood Grille. Three large sail-like structures mounted on the patio are dramatically illuminated from below, with bird-of-paradise plants casting distinctive shadows. The space was a previously failed restaurant that had visibility problems from the street. The space was also very long and narrow with an existing kitchen that divided the space into two. The mall side bar was enclosed and uninviting and the narrow dining area lacked ambiance. A patio bar that faced the promenade had harsh sun and wind from the western ocean view. The architectural practice extended the bar toward the dining area, which showcases the glassed-in exhibition kitchen with a glazed floor-to-ceiling wine display. An eye-catching “curtain” of shimmering silver and darker-colored metal chains subtly evokes redwood tree trunks (a mirror creates the illusion of an endless forest). Other redwood touches include the hostess stand and 22-foot-long communal table—a tree sliced down the middle. The hand-hewn walnut floor, leather faux-alligator booths, walnut tables, and red glass accents create an elegantly festive atmosphere.